The International Potato Center (CIP) mourns the passing of Dr. Richard L. Sawyer, founder of CIP and its first Director-General. Dr. Sawyer passed away on March 9 in Raleigh, North Carolina, in his native USA. “Dr. Sawyer’s legacy is enormous. His project to begin a potato research for development institute in the potato’s center of diversity was visionary and this work has led to improved nutrition, health, and livelihood for millions of rural poor in Latin America, Africa, and Asia,” said Barbara Wells, CIP Director-General. 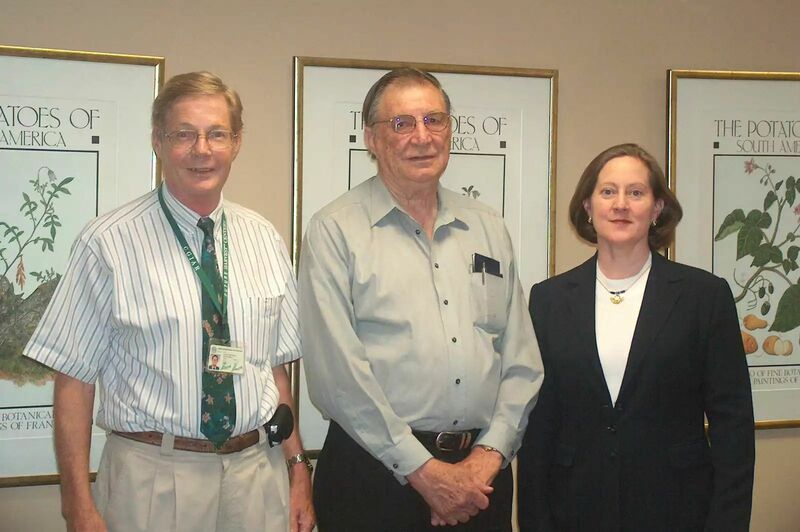 Dr. Sawyer is considered the founder and architect of CIP and he played a key role in CIP’s entrance into CGIAR. The Center was created in 1971 through an agreement between the Government of Peru and North Carolina State University. As a professor of the University, Dr. Sawyer had been working in Peru since 1966, leading a USAID-funded potato project. CIP opened its doors in the district of La Molina in Lima, Peru on February 1972 with Dr. Sawyer at its helm. In 1988, CIP’s mandate expanded to include sweetpotato. He retired from CIP in 1991. Dr. Sawyer’s vision and strong leadership were instrumental in the design of CIP’s research program and the opening of regional offices throughout the world, including in Africa, Asia and Latin America. Dr. Sawyer also strongly supported the conservation of genetic diversity for crop improvement and the creation of a comprehensive genebank with collections of potatoes, sweetpotatoes, and Andean roots and tubers. The CIP community extends its condolences to Dr. Sawyer’s family.